A loan of $350 helped to purchase hair treatments, nail polish, cotton, non-toxic hair dye, and a hair-straightening iron from the same line. Martha is a dreamer who puts her desires into practice, she not only thinks about them. 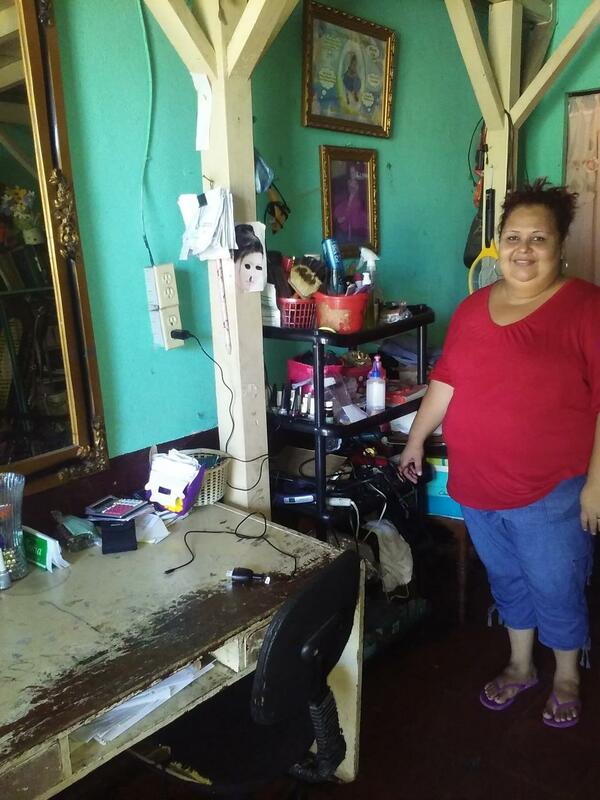 With only one mirror in her home, one seat, and a few tools for brushing, she started her own beauty parlor. Fortunately, she has been improving her tools, given that previously she had requested a loan to purchase beauty products from a good organic brand. This allowed her to increase her clientele and save more, for which she is thankful to the people who supported her. Now, Martha’s smile is more defined because she feels happy because of the progress that she has made. Now, she wants to advance more, because of which she is requesting a new loan to purchase more of these organic beauty products, such as hair treatments, nail polish, cotton, non-toxic hair dyes, and a hair-straightening iron from the same line. With this, she will be able to provide better service to her customers and a good price so that they both win. Once paid, she plans to apply for a new loan to improve her home and her business. Translated from Spanish by Kiva volunteer Sarah Tyler. View original language description. Martha es una soñadora que pone en práctica sus deseos, no solo los piensa. Con un solo espejo en su hogar, una silla y unas cuantas herramientas para peinar, montó su salón de bellezas. Afortunadamente ella ha ido mejorando sus herramientas, dado a que anteriormente ella había solicitado un préstamo para comprar productos de belleza de buena marca orgánicos. Esto le permitió incrementar su clientela e ir ahorrando más, por lo que agradece a las personas que le apoyaron. Ahora la sonrisa de Martha está más definida, pues se siente contenta del progreso que ha hecho. Ahora quiere avanzar más, por lo que solicita un nuevo préstamo para comprar más de estos productos de bellezas orgánicos, como tratamientos para el cabello, pinturas de uñas, algodón, tintes de cabello no tóxico y una plancha de cabello con la misma línea. Con esto podrá darles un mejor servicio a sus clientas y a un buen precio donde ambas ganen. Al cancelar pretende aplicar a un nuevo préstamo para mejorar su hogar y su negocio. It includes access to preventative healthcare services.